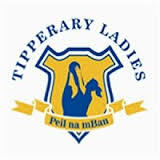 Tipperary Ladies Football Intermediate team will play Wexford in the TG4 All Ireland Intermediate Championship Quarter Final in Callan, Co. Kilkenny on Sunday, August 13th at 3pm. This will be the fourth encounter between the teams this year; the first occasion was the first round game of the National Football League back on January 29th with Tipperary the better on a score line of Tipperary 4-10 Wexford 2-10. Their next meetings were closer affairs with a draw in the League Final and a two point victory for Tipperary in the Lidl National Football League Final Replay, Tipperary 0-15 Wexford 1-10. Since then Tipperary have captured the Munster title following victories over Limerick and Clare while Wexford lost the Leinster Final to Meath before recording an eight point win over Offaly. Brian Borus Ladies Football Club await the winners of the Senior Championship Semi Final between Cappawhite v Cahir. In the Shield Final Moyle Rovers will play Aherlow at a date to be confirmed. Congratulations to Ardfinnan who defeated Boherlahan in the Intermediate Championship Semi Final on Thursday last. Fethard have topped the table and await the winners of Thurles Sarsfields and Moycarkey Borris, this Semi Final was played on August 7th, no result going to print, check out www.tipperaryladiesfootball.ie for result. In the Tipperary Ladies Football Junior B Championship Final Lattin Cullen will play Gortnahoe. In the Shield Final congratulations to Arravale Rovers who defeated Holycross on Thursday last. While in the Tipperary Ladies Football Junior C Championship Final St Patrick's met Silvermines on Monday, August 7th in Templetuohy. There was no result going to print, check out www.tipperaryladiesfootball.ie for result. The 2017 Munster Ladies Football Club Championship Fixtures were announced this week. In the Senior Club Championship Semi Finals the Tipperary representatives will meet Kerry representatives while the Clare and Waterford representatives will compete in the other Semi Final on the weekend of October 7th/8th. In the Senior Plate Club Championship Quarter Final, to be played on the weekend of September 30th/October 1st the Tipperary representatives will meet Kerry representatives. In the Munster Intermediate Club Championship Quarter Finals the Tipperary representatives will meet Waterford's representatives on the weekend September 30th/October 1st while Clare will play Kerry in the other Quarter Final. The Tipperary Junior Club Champions look forward to meeting the Clare Junior Club Champions on September 30th/October 1st in the Munster Junior Club Championship Quarter Finals and Kerry will play Waterford in the other Quarter Final.